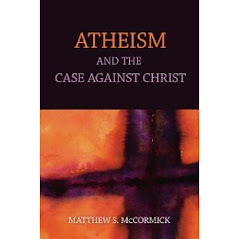 A particular philosophical methodology and set of assumptions run through many of the arguments for God in the literature. Cognitive Transparency: If it is in my mind, then it will be evident to me that it is. Cognitive incorrigibility: I can’t be mistaken about what I take to be the contents of my own thoughts. If on introspection, I take X to be a content of my own mind, then it is true that X is one of my mental contents. Belief access: If I believe it, then I am or I can become aware that I do, and the same for my disbeliefs. Justification Access—I have privileged access to the reasons, evidence, or considerations that led to my believing what I do. My reasons for believing p will be incorrigible and transparent to me. Propositional/Belief Modularity--beliefs are modular. You either have one or you do not. You change your mind and cease to have it, and so on. Beliefs, and the cognitive structures in mind that contain or map them, have syntactic or logical structure and relationships, and they have semantic content. Intuitionism: my immediately introspected hunches/feelings/reactions to philosophical thought experiments or questions about natural, metaphysical, or logical possibility can be treated either as highly reliable or perfectly reliable (!) indicators of natural, metaphysical, or logical possibility in the right sorts of circumstances. My intuitions are data that should be incorporated into philosophical theories or arguments. The influence of these approaches and presumptions is beginning to wane in the discipline, but many of them, or versions of them play central roles in theistic arguments and positions. Some people allege to have immediate, direct awareness of God's presence in the universe. The Holy Spirit "witnesses" to others, providing allegedly incontrovertible knowledge of the divine. Some claim awareness of a special set of non-physical, objective moral facts in their minds that prove the existence of a transcendent moral agent. Williamson, Timothy. "Philosophical 'Intuitions' and Scepticism about Judgement." Churchland, Paul. Eliminative Materialism and the Propositional Attitude. Is there any significant difference in your mind between an intuition, and a properly basic belief? Are they both just as poorly justified in your understanding? Also, what epistemological method do you think is best? Scientism? Lastly, do you think that science qua science claims that our intuitions and/or properly basic beliefs are unreliable in all, or nearly all circumstances, or are you trying to point out that certain empirical studies have shown that our intuitions are unreliable in some well-defined cases, but also reliable in some other well-defined circumstances? Are we without hope, and incapable of teaching ourselves to reason properly? If you had read and understood the cited papers you would be able to provide a sensible response to your silly questions. I would especially recommend the Nisbett & Wilson paper. You are guilty of "philosophism": inappropriately applying philosophical principles and jargon to matters best investigated by cognitive and neuro-science. One thing that puts newbies off Linux is when they have a technical question on a Linux forum and some geek posts "RTFM noob !" My dear, the fact that by introspection I believe this or that about the outer world, if not a guarantee for outer world corresponding to my belief, certainly guarantees me to be a being capable of believing and of knowing. If on introspection, I take X to be a content of my own mind, then it is true that X is one of my mental contents. Not a wild assumption, but obvious common sense. I have privileged access to the reasons, evidence, or considerations that led to my believing what I do. Your first objection makes sense. I agree that the presentation of the blog poster's central idea is less than perfect. Your second objection has some merit but does not account for such things as false memories. It is well documented that what people think are the reasons that they believe something are not necessarily the real reasons at all. One of the main messages of introductory professional psychology classes is that "common sense" is not a reliable measure of reality. All the interesting findings in psychology contradict common sense. What the poster does not make clear, however, is that common sense is right most of the time. It is at its most unreliable when there is an emotional content involved. This is the case with ideas which pertain to religion romance, ideology, politics and significant others. Your second objection has some merit but does not account for such things as false memories. Believing a thing because of a memory which one believes but which is false is not the same thing as not knowing whether it it is for that memory or for another reason one believes it. It is well documented that what people think are the reasons that they believe something are not necessarily the real reasons at all. "Well documented" by whom? By psychologists? That is not well documented. At least I believe your memory on those classes to be correct. Which for me is a big reason not to trust psychologists. No, common sense - in its results, never in its basics - is least reliable when handled by unreliable people. That is significantly more important than whether content is emotional or not. Most of the interesting findings in other branches of science are contrary to common sense as well. Why do you restrict your trust problems to behavioral and neuro-scientists? Common sense dictates that the earth is flat, the sun revolves around the earth, the moon is a light rather than a reflector of light, time is not relative to space, chimpanzees are not close relatives of humans. Neuro-psychologists and other neuro-scientists have discovered proof for all kinds of illusions that the human brain is unaware it experiences. Common sense dictates that we have no blind spot in our eyes, that our visual perception is continuous, not punctuated, that we see things instantly instead of with several seconds of delay and that we cannot be manipulated to avoid seeing otherwise highly salient aspects of a scene that we are staring at intently. Here are some highly entertaining and interesting examples of some of these un-common-sense phenomena. No matter how "reliable" you are as a person (whatever that vague term means) these labs will show you that what you see in this blind spot is not what is there. Here is a link to a just published text on cognitive illusions. After you have completed the section on individual differences and things that make some people more prone to error in this area you will be in a position where you can make an informed comment about such causes. Your idea of what makes a person "unreliable" in such instances may include the emotional salience of the information they are given. Without this academic background you are speaking from the ignorance of uninformed "common sense". Did I say something about principles and results when it comes to comon sense? I believe I did. I think Common Sense can accept that earth as flat as long as there is no clear evidence, acceptable to common sense of the opposite. Now, there is. It falls into two categories. Optical proof is the observation of ships leaving a port and the experiment of Eratosthenes. Practical proof is Columbus - or Magellan, more properly - to globalisation. and if I still believe that, since I found the supposed parallactic evidence faulty as evidence and the supposed physical evidence speculative and methodologically atheist? not so: anyone who has seen light from a candle reflected in a bright mirror knows this to be untrue, knows that one or other is as acceptable to common sense. chimpanzees are not close relatives of humans. If you mean common sense is against a common ancestor, I quite agree, and so do I. If common ancestor could talk, how did chimp lose the ability (not limited to physical ability of articulation, but the ability to symbolise thought by a double articulation and of thinking more than imperatives and desideratives)? If otherwise, how did man gain it? Five points. One undecided until more specified. Two with common sense against modern science. Two with modern science showing it to be not uncompatible with common sense. All of which are not dictates of common sense, but unreflected expectations until opposite be proven. and that we cannot be manipulated to avoid seeing otherwise highly salient aspects of a scene that we are staring at intently. Hardly, precisely the intent staring would be part of the manipulation for not seeing it all. UNINFORMED but COMMONSENSICAL expectations about particular matters is one thing. Common sense as such is another, and it is not our main source of ignorance but our main clue out of such. You are dishonest BOTH in identifying them or insinuating such identification without stating it AND by presenting academic background as the main way out of ignorance. 1. You seem to be saying that you believe the earth is round because your “common sense” has been informed by the results of scientific investigation. If so, then that is common sense plus scientific education, not uninformed common sense. 2. It seems that you are saying that your common sense concludes that the sun revolves around the earth because you do not believe the scientific evidence that belies this? You need an understanding of mathematics, astro-physics and the scientific method to understand and believe this one. 3. Are you saying that your common sense concludes that light sources and things that reflect light are both identical? Science clearly distinguishes between things that create light (lights) and things that reflect light (mirrors). I concede that there is a “common sense” in which the two things are identical for the purposes of providing practical illumination. Problems will ensue, however, if that “common sense” is applied in a situation where the light source, not the reflection, needs to be extinguished. The Old Testament writers believed that the Moon was a light source, rather than a light reflector because they had no evidence that revealed their common sense mistake. You need an understanding of astro-physics and chemistry to understand the difference. Their misconceptions were not corrected by anyone with that kind of knowledge. 4. Einstein’s theory of relativity, and its upgrade, explains how the effect of gravity distorts both space and the speed of time. The fact that time is relative to gravity and space is not obvious from uninformed “common sense”. You need an understanding of mathematics and physics to believe this one. 5. 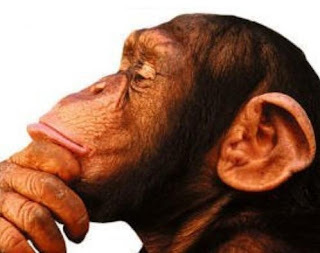 Do I understand that your uninformed common sense concludes that a common ancestor for both chimps and humans is impossible because the common ancestor must have had a capacity to speak and chimps cannot speak? You need an elementary understanding of phylo-genetics to understand why this "common sense" conclusion is hilarious nonsense. This is followed by a Sudoku solution. This attempt to portray a complex tripartite creating god as simple via a singular human's sudoku creation is quite simply crazy. Pun intended. I cannot see that we have any logical basis on which to proceed with this discussion. Do you know that you promised to delete your above two comments? "Comments that are abusive, rude, off topic, or that are advertisements will be deleted."